These days, the opioid epidemic is making national headlines for good reason: opioids lead to addiction and death at a remarkable rate. But it wasn’t long ago that healthcare professionals were worried about the overprescription of antidepressants. The country seemingly caught in a depression epidemic, the number of Americans given antidepressants to treat the condition increased by 65% between 1999 and 2014. About 1 in 8 Americans report taking an antidepressant at some point. And it’s still unclear if they are effective. Has the shift in conversation about opioid addiction overshadowed concerns about the overprescription and efficacy of antidepressants? “Few drugs are as dangerous as opioids,” is what the former commissioner of the Food and Drug Administration, David Kessler, told The New Yorker in a recent interview. Indeed, the opioid epidemic seems to directly correlate to a huge marketing push by pharmaceutical companies for the overprescription of these highly addictive and devastating painkillers. The drug that seems largely responsible for the opioid epidemic is “OxyContin.” The sole active ingredient, oxycodone, is closely related to heroin and potentially twice as powerful as morphine. When it was first released, doctors would only—and very warily—prescribe it for patients with severe cancer pain or requiring palliative care. But according to a report in the New Yorker, Purdue Pharma, the producer of “OxyContin,” allegedly funded research and paid doctors to downplay the drug’s addictive qualities and recommend it for wider use. 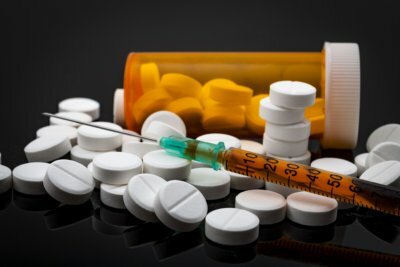 The result is that, in the past few years, more than two million Americans have become addicted to or dependent on the drug and other prescription pain pills, which have led to over 200,000 deaths. CDC data suggests that 145 Americans die daily from the opioid epidemic. The same devastating numbers don’t translate to a potential “depression epidemic”—if depression can be called an epidemic. But it is still a major concern when considering an over-medicated population that is paying for drugs that may not work and frequently look for other ways to treat themselves. Are Antidepressants Worsening Your Depression? Doctors may overprescribe medications; it is their job to use the best tools available to protect your health. That said, research has suggested that perhaps 99% of doctors overprescribe painkiller opiates. A 2014 report by the New York Times and Scientific American revealed that doctors received over $4.0 billion in payouts from drug companies, although not always directly connected to promotions and prescriptions. Drug manufacturers pour many resources into showing doctors how their products can help patients while also offering incentives for them to try. Understandably, doctors who believe the numbers and positive effects the manufacturers present them may be truly convinced that they are helping patients while helping themselves. For example, opioid addictions typically begin under legal circumstances when doctors prescribe the powerful drugs as painkillers to patients. And the most vulnerable and largest demographic of abusers, according to the U.S. Department of Health & Human Services (HHS), is young adults between the ages of 18 and 25 years. Yet, an estimated 16% of college-aged adults were reported to use prescriptions that were not prescribed to them. It’s also highly likely that the majority of doctors are not influenced by big drug companies, so talking to your doctor about all available options (i.e. dietary changes, exercise, psychotherapy, and stress management techniques) is highly recommended. However, another factor—which some point to as the possible cause behind the overprescription of antidepressants—is that family physicians are able to prescribe them, which may arguably be beyond their scope of practice. Therefore, it’s essential to address the legal origins of the epidemic through the “quick fix” practice of selling drugs to manage but not necessarily cure all health problems. If we look at the numbers of people on antidepressants or opioids—or those taking deadly combination of both—we begin to see the price in terms of dollars, health, and life. Perhaps the proliferation of antidepressants and opioids are not necessarily the result of sound science, but of aggressive marketing campaigns by drug manufacturers. On one hand, people are becoming addicted to opioid painkillers because they work really well for relieving pain. On the other, patients receiving treatment for depressive symptoms are being given antidepressants that don’t always work. Research indicates that antidepressants only work for about 60% of the people who use them, which shows little difference from the reported effect of placebo. And in those who take them, the drugs have the potential to make the symptoms of depression much worse. One study focused on people with rapid-cycling bipolar disorder, which affects 25% of Americans diagnosed as bipolar. Researchers found that patients who continued antidepressant use after initial treatment experienced three times the number of depressive episodes over the next year of those who stopped taking them. And similar results are echoed in other studies examining a variety of conditions. A brand-new study published in Psychotherapy and Psychosomatics focused on participants who took antidepressants to treat depressive symptoms, following up nine years later. After controlling for depression severity, the researchers noted that people who took medication had significantly more depressive symptoms than those who did not. And people who received no treatment at all via psychotherapy and other means, had even less incidence of severe depressive symptoms than those who took medication. Regardless of the severity of depression—from mild to severe—it seems that medications do not help a vast array of the people to whom they are prescribed. And according to the above study, they make depression worse. Other studies have shown that an overwhelming majority of people experiencing depressive symptoms tend to come out of it on their own—up to 85%. Data seem to support this figure. Millions of Americans report feeling depressed occasionally, and many will come out of it naturally. Everyone has a bad day or and week from time to time. Another study found that only about 35% of people who experience a depressive episode will ever experience another, meaning that in the majority of people, depressive symptoms can be short-lived and never return. There is also research indicating a strong connection between depression and opioid use. Some of the work shows undiagnosed depressed individuals may be more likely to improperly seek opioids to treat their condition, as opioids can dull physical pain often exacerbated by depression and other mood disorders. Depressed people may also be more likely to abuse pain killers for non-pain-related reasons. A 2012 study published in the Annals of Family Medicine, which found that compared to non-depressed patients, depressed patients were twice as likely to misuse opioid medications for non-pain symptoms. They were also three times more likely to increase their own dosage. A 2015 study published in the journal Pain, where researchers noted that depressed patients were likely to keep using opioids even after pain had subsided and physical functionality was restored. A 2016 study conducted by Harvard researchers, which observed that individuals with mood disorders were twice as likely to continue opioid use after pain subsided as non-depressed individuals. But it’s now possible that in order to improve the efficacy of antidepressants, drug developers may look to opioids to treat certain diagnosed depressive conditions. Some experts have noted that certain individuals with severe depressive conditions tend to self-medicate with opiates anyway, and their response to the drugs differs from those using them for pain relief. But that doesn’t necessarily mean addiction. Dependency and other issues associated with opiates can be overlooked. Do these options present even more danger? Opioids are substances that bind to opioid receptors in the brain to dull pain. And you’re actually capable of producing a pain reliever on your own that’s shown some effectiveness in battling depression. If you’ve ever heard of “runner’s high,” that’s exactly what it is: a natural endorphin that’s an opioid produced in the brain. It’s one of the reasons intense exercise is often assigned to depressed patients. It often plays a role in the depressive symptoms of people who exercise regularly. If they miss a workout, for example, they notice a drop in mood. That said, a majority of the population is likely unable to reach levels of athletic output necessary to give them the advantage of a runner’s high. A 2016 essay appearing in the New York Times argues that opioids may be a promising and effective option for treating certain types of depression. Although it’s unlikely that such drugs would prevent a depression epidemic, there is a big risk that it would further contribute to the growing opioid epidemic. The drugs in question would not have the intense opioid dosage of fentanyl, morphine, heroine, or oxycodone, but a risk for dependency might still exist. The author of the essay, psychiatrist Anna Fels, presents the argument that a number of clinically depressed people are underserved by current medications, and using an opioid called buprenorphine shows promise as a helpful treatment. She notes that small studies that have shown encouraging results while also presenting some interesting evidence that they can greatly help people who suffer from borderline personality disorder, who, according to her essay, tend to self-medicate with stronger opioids. A smaller dosage in the form of buprenorphine may curb this. In fact, she mentions research that identifies abnormalities in the opioid system in the brain of patients with borderline personality disorder, which may play explain why these individuals don’t report feeling high from the drugs, but rather feeling normal. Fels clearly states that larger, long-term studies need to occur to accurately assess the effects of lower-dosage opioids for depression, and to learn whether or not their effects will fade in time or lead to worse symptoms, like some current anti-depressant medications. What’s also worth noting is that opioids like “OxyContin” tend to become less effective the longer one takes them, which is partly why people who become dependent on them turn to cheaper and stronger options like heroin and fentanyl. One important thing you can do to prevent falling victim to the opioid epidemic is ask your doctor to avoid prescribing them unless absolutely necessary. Depending on the source of your pain, it could be treated through lifestyle measures like increased activity, stretching and physical therapy, or perhaps alternative practices like acupuncture or chiropractic adjustment. The “depression epidemic” also appears related to doctors overprescribing drugs. If you’re feeling down, it’s best to talk to a professional about your specific case and find natural methods—like diet, exercise, relationship-building—to offer treatment. In some cases, this may be the best way to prevent symptoms from ever coming back. Keefe, P., “The Family That Built an Empire of Pain,” The New Yorker, October 30, 2017; https://www.newyorker.com/magazine/2017/10/30/the-family-that-built-an-empire-of-pain, last accessed November 7, 2017. “Opioid Crisis Fast Facts” CNN, October 29, 2017; http://www.cnn.com/2017/09/18/health/opioid-crisis-fast-facts/index.html, last accessed November 7, 2017. Fournier, J., et al., “Antidepressant drug effects and depression severity: a patient-level meta-analysis,” JAMA, Jan. 2010;303 (1):47-53. doi: 10.1001/jama.2009.1943; https://www.ncbi.nlm.nih.gov/pubmed/20051569, last accessed November 7, 2017. Fava, G., “Can Long-Term Treatment with Antidepressant Drugs Worsen the Course of Depression?” Journal of Clinical Psychiatry 64:2, Feb. 2003; 123-133; https://pdfs.semanticscholar.org/c280/181ab5a63ad93dfdc090eace0d3e0865b6c4.pdf, last accessed November 7, 2017. Posternak, M., et al., “The Naturalistic Course of Unipolar Major Depression in the Absence of Somatic Therapy,” Journal of Nervous and Mental Disease, May 2006; 194 (5): 324-329; https://www.ncbi.nlm.nih.gov/pubmed/16699380, last accessed November 7, 2017. Hardeveld F., et al, “Prevalence and predictors of recurrence of major depressive disorder in the adult population,” Acta Psychiatrica Scandinavica, Dec. 2009; DOI: 10.1111/j.1600-0447.2009.01519.x; http://onlinelibrary.wiley.com/doi/10.1111/j.1600-0447.2009.01519.x/abstract, last accessed November 7, 2017. Vittengl, J. R. “Poorer long-term outcomes among persons with major depressive disorder treated with medication,” Psychotherapy and Psychosomatics, Oct. 2017; 86: 302-304; DOI: 10.1159/000479162; https://www.karger.com/Article/Abstract/479162, last accessed November 7, 2017. Heitler, S., “Are Antidepressant Medications the Next Drug Abuse Epidemic?” Psychology Today, July 15, 2016; https://www.psychologytoday.com/blog/resolution-not-conflict/201607/are-antidepressant-medications-the-next-drug-abuse-epidemic, last accessed November 7, 2017. Ornstein, C. & Sagara, E., “How Much Are Drug Companies Paying Your Doctor?” Scientific American, September 30, 2014; https://www.scientificamerican.com/article/how-much-are-drug-companies-paying-your-doctor/, last accessed November 7, 2017. Shim, R., et al., “Prevalence, Treatment, and Control of Depressive Symptoms in the United States: Results from the National Health and Nutrition Examination Survey (NHANES), 2005–2008,” Journal of the American Board of Family Medicine, Jan-Feb. 2011; 24(1): 33–38. DOI: 10.3122/jabfm.2011.01.100121; https://www.ncbi.nlm.nih.gov/pmc/articles/PMC3161724/, last accessed November 7, 2017. Fels, A., “Are Opioids the Next Antidepressant?” The New York Times, June 4, 2016; https://www.nytimes.com/2016/06/05/opinion/sunday/are-opioids-the-next-antidepressant.html, last accessed November 7, 2017. Derrow, P., “Are antidepressants overprescribed?” Berkeley Wellness—University of California, August 21, 2015; http://www.berkeleywellness.com/healthy-mind/mood/article/are-antidepressants-overprescribed, last accessed November 7, 2017. Trivedi, M., “The Link Between Depression and Physical Symptoms,” The Primary Care Companion to the Journal of Clinical Psychiatry, 2004; 6(suppl 1): 12–16; https://www.ncbi.nlm.nih.gov/pmc/articles/PMC486942/, last accessed November 7, 2017. Grattan, A., et al., “Depression and Prescription Opioid Misuse Among Chronic Opioid Therapy Recipients With No History of Substance Abuse,” Annals of Family Medicine, July 2012; 10(4): 304–311. DOI: 10.1370/afm.1371; https://www.ncbi.nlm.nih.gov/pmc/articles/PMC3392289/, last accessed November 7, 2017. Goesling, J., et al.,“Symptoms of Depression Are Associated With Opioid Use Regardless of Pain Severity and Physical Functioning Among Treatment-Seeking Patients With Chronic Pain,” The Journal of Pain, Sep. 2015; 16(9):844-51. DOI: 10.1016/j.jpain.2015.05.010. Epub 2015 Jun 12; https://www.ncbi.nlm.nih.gov/pubmed/26080041, last accessed November 7, 2017. Halbert, B., et al., “Disproportionate longer-term opioid use among U.S. adults with mood disorders,” Pain. Nov. 2016; 157(11):2452-2457; https://www.ncbi.nlm.nih.gov/pubmed/27472400, last accessed November 7, 2017. Khazan, O., “How Untreated Depression Contributes to the Opioid Epidemic,” The Atlantic, May 15, 2017; https://www.theatlantic.com/health/archive/2017/05/is-depression-contributing-to-the-opioid-epidemic/526560/, last accessed November 12, 2017. Albal, K., “Overprescription is the root of the opioid crisis,” The State Press, November 9, 2017; http://www.statepress.com/article/2017/11/spopinion-overprescription-is-the-root-of-the-opioid-crisis, last accessed November 12, 2017.